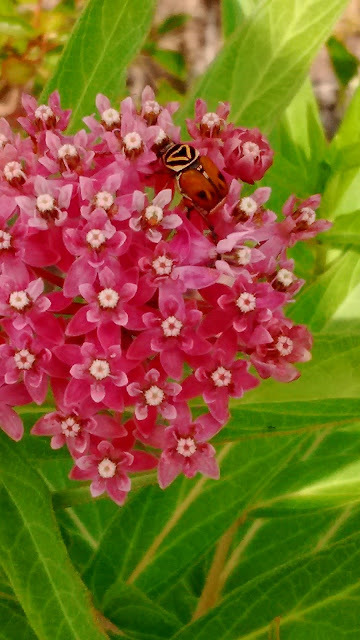 If I'm not mistaken, the photo below shows a delta flower scarab beetle (Trigonopeltastes delta) browsing through the flowers of swamp milkweed (Asclepias incarnata). Incidentally, the milkweed is more versatile than its common name suggests. My plants are not growing in a swamp at all, but on a clay hilltop that gets sodden in winter rains, but bakes dry in the summertime.